Sept 21, 2019 Lyndhurst Turkey Fair 10am-4:30pm | A Free Day of Family Fun! The Turkey Fair committee is going to be meeting this week to begin planning the 2019 fair which will take place on Saturday, Sept 21, 2019. If you’re a vendor who would like information on being part of the Craft Fair, please visit the Craft Fair page on our website. We hope to have some new events to offer this year and look forward to seeing you all on this Free Day of Family Fun! If you’re coming to the Turkey Fair this Saturday (and we hope you are), check out this year’s program to plan out your day. We’re hoping for great weather and lots of people to come enjoy all we have to offer, from delicious food, free activities for kids of all ages, displays, a car show and so much more. Click here for all the info! Hey everyone! We’re gearing up for this year’s fabulous Lyndhurst Turkey Fair! Mark your calendars for Saturday, September 15. We’ll have lots of your old favourites like Little Ray’s Reptiles and the Jonas St. Music Festival, along with the always fun children’s area, great food and tons of entertainment. Keep and eye out for some new things too! Did you know its the 25th anniversary of the modern day Turkey Fair? Come be part of the celebrations! Vendor spots are filling quickly so if you’d like a spot, please contact us soon. Hope to see you there! Hey fairgoers! First some business…when the draw winners and unclaimed button numbers are compiled, they’ll be posted on the Facebook page and on the website, along with a post that will be sent to subscribers of this website. 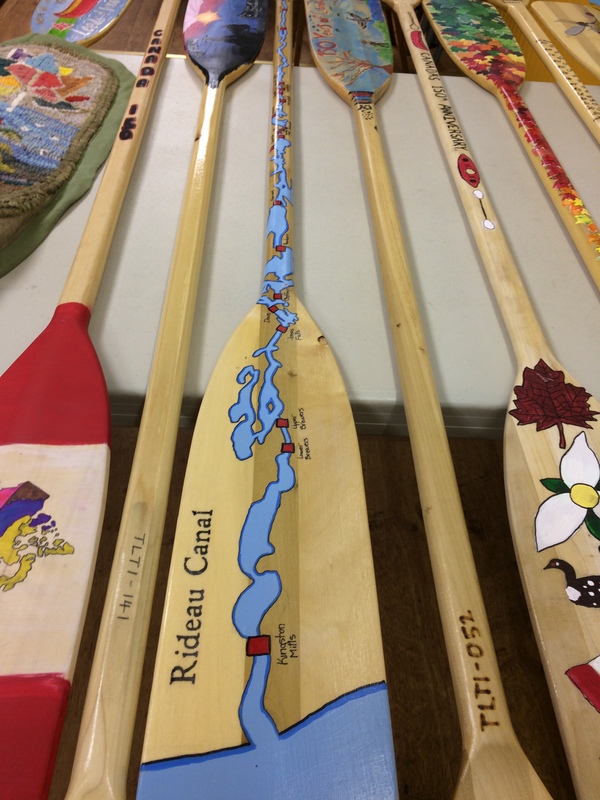 If you won an item at the silent auction, pick up is today from 10 am – 1 pm at the Outdoor Education Centre on the main street (next to Wing’s). Wasn’t that an incredible day!? We’re so thankful that we had perfect weather. We definitely were due! We’re also thankful for all the patrons who came out and made the day so special. There were seasoned fairgoers and first-timers and it seemed that a great time was had by all. We had the biggest car show ever, great music all day, so many awesome vendors and tons of great food. 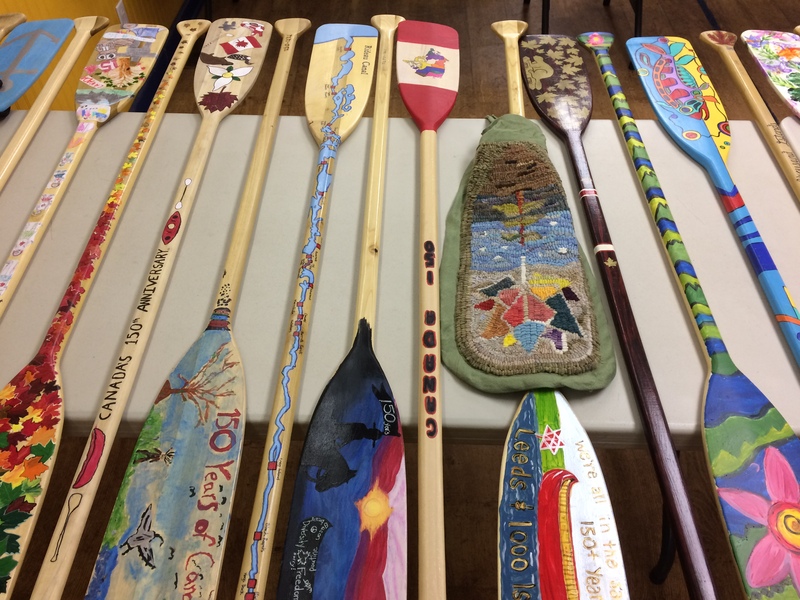 To celebrate Canada 150 we had painted canoe paddles on display and to add to the celebration of our local history, information about our exciting archeological dig that happened just last week. Our beautiful waterfront is a special place for the villagers and we’re so happy to share it with all of you. Thanks to everyone who participated to make the fair happen – volunteers who worked tirelessly to plan and prepare, those who came to physically make it happen and then take it all away. Without volunteers, the Turkey Fair (and really, our entire world) wouldn’t be what it is today. Seeing so many people come to enjoy the fair and having our village seen and loved by so many is a great reward. We’ll see you all next year on September 15, 2018. 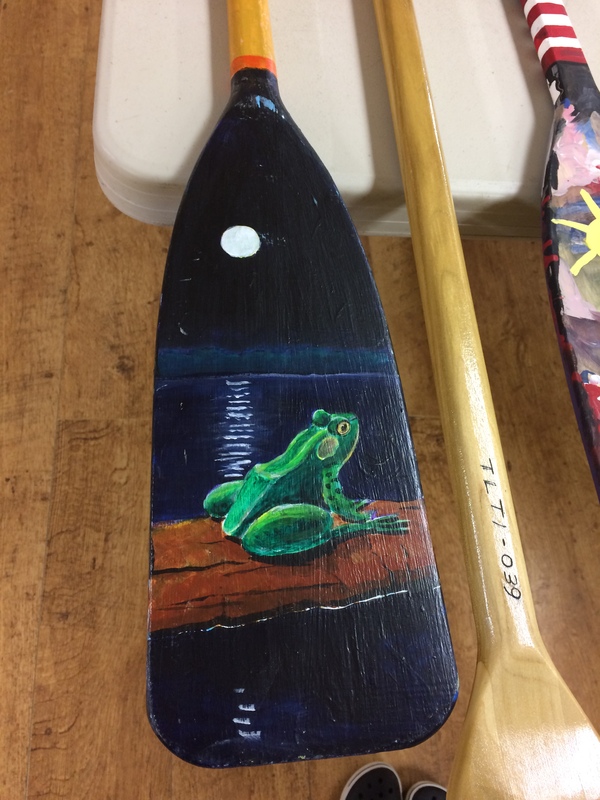 Our township residents rose to the challenge when they were offered the opportunity to paint a canoe paddle to celebrate Canada’s 150th birthday. 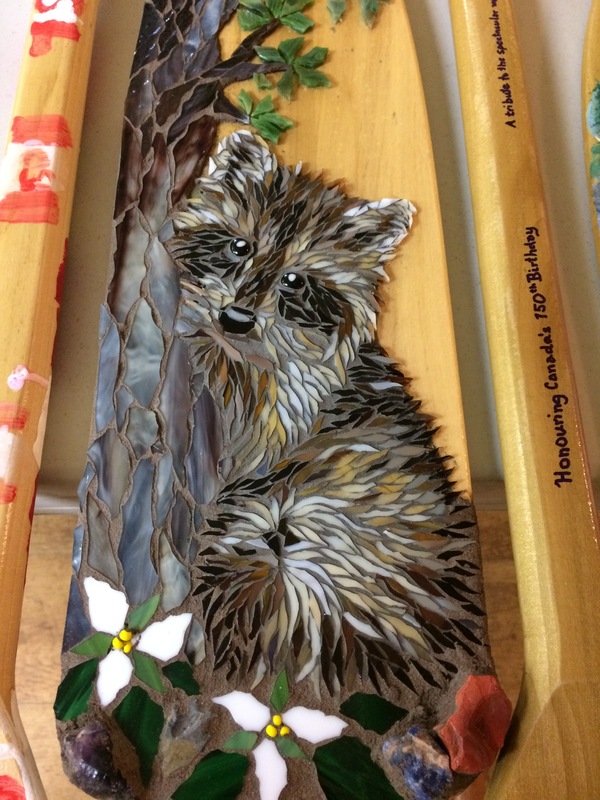 These beautiful works of art can be viewed throughout the Turkey Fair at the Lyndhurst Legion, the United Church, the Lyndhurst Library and the Anglican Church. It’s quite something to see! What better way to end your fair experience than a home style turkey dinner? There are 2 places to find delicious turkey dinners: The Post (main street of Lyndhurst) will start serving at 3:30 pm and The Junction (Hwys 15 & 32) will be serving their’s at 4 pm. Enjoy! Elvis Returns and so much more! We’re happy to announce that Kirk Francois, Elvis Tribute Artist, will be returning to the fair this year. We’ll also have Fiddle Earth, a new addition to this year’s line up along with The Rifle & The Writer, The Chris Royer Band, Backlash and Simon Clarke. The Jonas Street Music Festival will take place again at the big blue house on Jonas St. where you can find great bluegrass bands from morning till the end of the fair. The Classic Car Stage will have local country artists for your enjoyment as always.